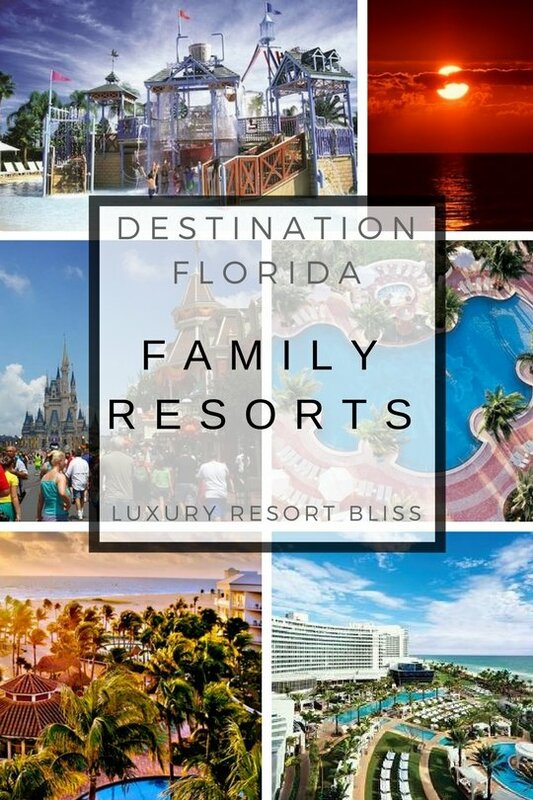 Looking for some great Florida family resorts? We've chosen some great resorts from around Florida that are known to be fantastic for families. Check out: TripAdvisors Top Hotels for Families. This resort is not typical of the other larger resorts that have everything, but Clearwater is all about the wonderful natural environment and attractions. 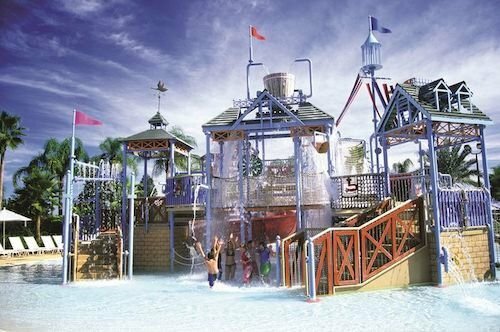 When you consider the location and the quality family friendly vacations that are ha here it's easy to see how it made it into our list of the top Florida Family resorts list. Video Below: Orlando Family Travel guide. Accommodations are 1,2 and 3-bedroom villas and multi-room houses with premium linens, kitchens, dining areas and daily maid service. Reviewers have said: lot's of private space, can see the Disney fireworks at night, great place for a large family, spacious rooms. These are few of the top family resorts in Miami Florida according to guests that have stayed at them with actual kids. And we find Families consistently rate a few hotels above others regardless of the resorts overall satisfaction score. 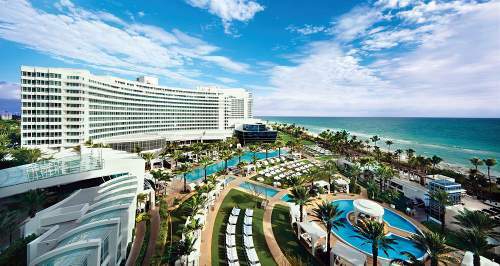 The first of these is the Fontainebleau Resort Miami Beach. Perhaps a family pet friendly Miami resort is not for everyone. 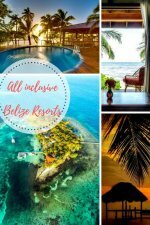 But with over 700 rooms and almost as many facilities and amenities designed to keep kids of all ages occupied and happy this resort is sure to appeal to some aspect of you families particular vacation style. Located between the Atlantic Ocean and Lake Mayan in the Harbor Beach neighborhood of Fort Lauderdale. This resort has won a number of awards recently. Swim at the private beach or pools, get a massage or body treatment at the Spa, shop and eat at their signature Italian restaurant. Guestrooms have private balconies, complimentary wireless, and are decorated in Key West or Mediterranean style. 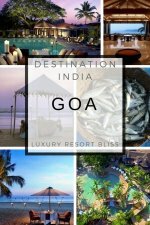 Reviewers say: varied food and good restaurant menu, beautiful and convenient pool and beach, good beach playground for kids, family-owned so staff are very friendly and accommodating. 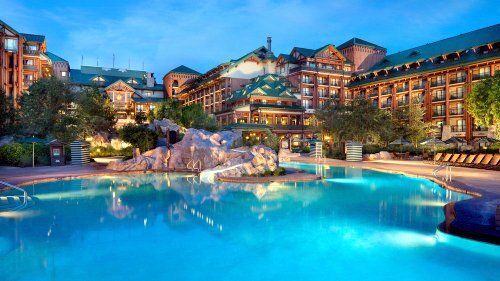 Disney Wilderness Lodge was recently named in the top 5 Family Friendly resorts in the United States. Receive magical deals from Southwest Airlines Vacations with Walt Disney World Resort and Disneyland Resort packages. Family friendly amenities include a children's playground and large free form pool with sloped entry. You can also take walks in the gardens and take pottery painting classes. There are several dining options in the area but not right in the hotel. Family Activities include excursions and cruises (arranged by resort staff), a rental center for jet skis, kayaks, speedboats, pontoon boats, snorkel and fishing gear. 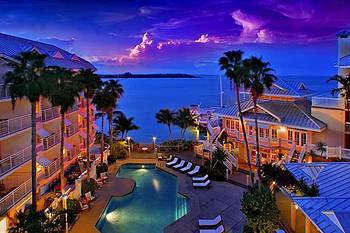 Click here for more resorts in Key West. 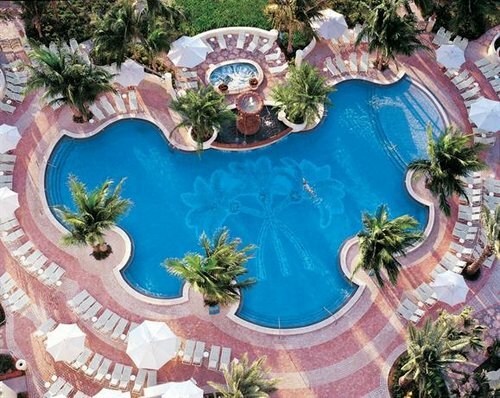 Located in one of the most prestigious areas of Miami, this resort is very close to South Beach. There's a fitness centre, a children's pool (outdoor), jacuzzi, whirlpool and you also get access to the Doral Golf Resort & Spa. Nearby at the Doral Resort, there's a spa, 5 championship golf courses, Camp Doral kid's club, tennis, jogging and bike trails. The villas have 2 bedrooms and 2 baths. The master suite has a king size bed and oversized tub. There's a full kitchen, separate living and dining areas, and a queen sofa bed in the living area. Reviewers love the location of this resort. They say the facilities are in good condition, villas are spacious and one past recommends valet parking over self parking. 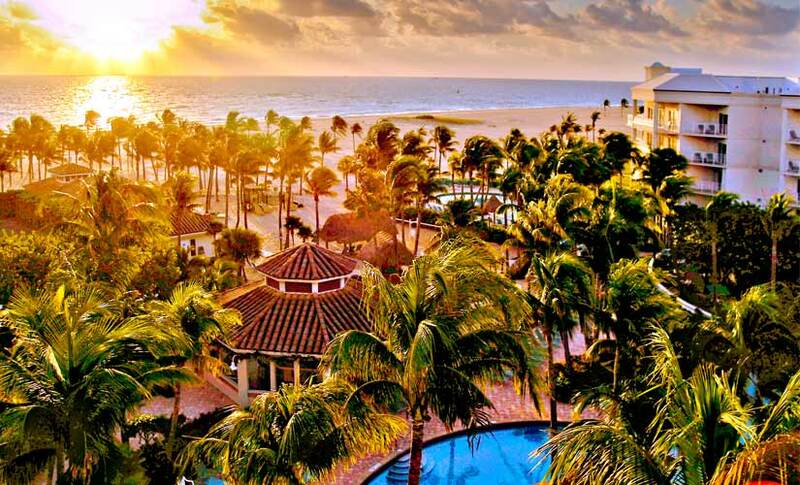 This 3 star Caribbean flavoured beachfront resort is located 88 miles south of Miami Airport. There's a heated pool overlooking the ocean, a whirlpool and a private (man-made) beach with steps leading down to the Atlantic. Guestrooms are decorated in tropical pastels. They are one or two-bedrooms with private balconies and kitchens. There's an expanded continental breakfast in a relaxed setting which is good for families. Fine dining, shopping and entertainment venues are close by. Reviewers say they are quick with upgrades, service and staff are excellent, breakfast buffet is full of carbs but there are hot and cold items, hammocks and lounge chairs are very relaxing and it's great value. More on Islamorada Key West Family Resort.